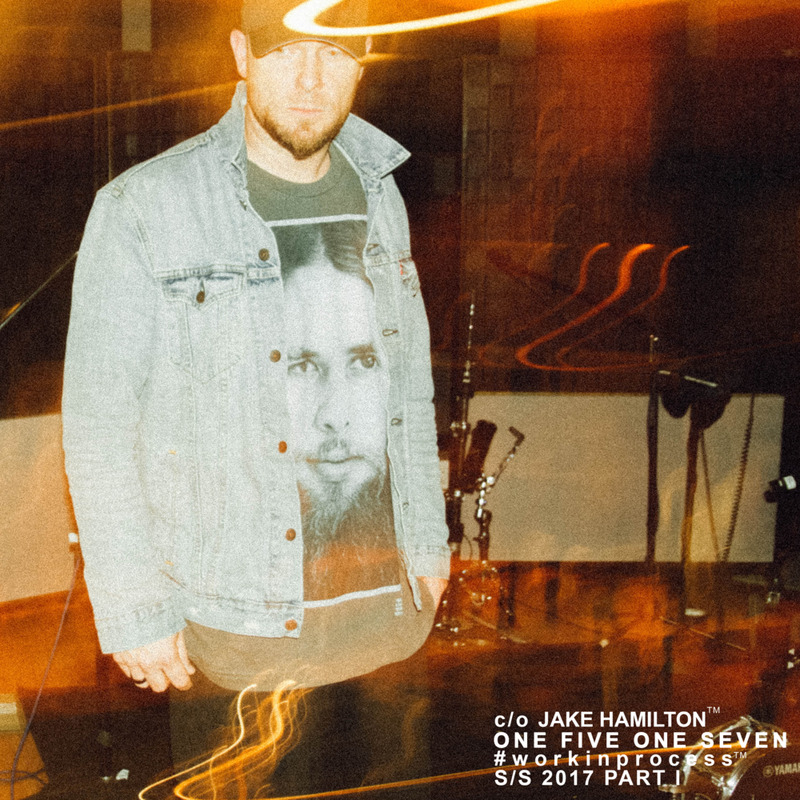 Jake Hamilton Music Blog - Jake Hamilton is a passionate worshiper & musician carrying the language and sound of reformation and revival. Jake Hamilton has a deep desire to see generational and denominational boundaries blurred through the simple message of love embodied in the man Jesus Christ and lived out in the context of community. You know what the church is missing? Do you know that Jesus could have come at any time and preached a four-point message? Did he not have good enough theology to actually put together a perfectly structured sermon? The people just kept saying, “Jesus, just get up there and tell us what you mean! Stop giving us the stories, what does it mean?” But he didn’t stop with the stories. Why? The church is trying to answer questions that the world isn’t even asking, and we wonder why they aren’t running to us! We’re trying to get them to believe a book, and they don’t even understand the God that wrote the book! We can’t tell verses at them when they don’t even understand the person behind the verses! If they don’t understand the person, then they’ll never understand the purpose. We’ve been giving them purpose without the person, and it’s divorced from the reality of the Kingdom. Jesus told stories because he wanted to give them a glimpse into the Father’s heart. He wanted them to see the person, not just the answer to all their questions. He told stories because stories move hearts much more than good theology ever could. Where are the storytellers today? Where are the ones who will shout “I’ve got a story to tell! I don’t understand the theology but I know that he’s good! Can I tell you my story?” We all have a story to tell. It might not look pretty. It might not look like the story has an ending yet. But we have to start telling the stories of the goodness of God. That’s what people need to hear. Reformation is all about welcoming in the process. We love the promise. God loves the process. God loves the process of an honest human heart because process destroys the ego and lays bare our vulnerability for everyone to see. It allows us to engage with a God who is in the middle of our process with us. He never leaves us alone. It feels like the more we get to know about God or attempt to understand how and why He does things the way He does the further we are from finding answers. I sometimes like to say that we love periods and God loves question marks. Sure we have a few breadcrumbs to follow and the beautiful mystery of how He hides in plain site to reveal Himself in unique ways in every season of our lives but the raw truth is that the farther you get in this journey the more you realize that you have no idea what you’re talking about! There is no way you could read the Bible, engage with God, then enter His presence and go, “Oh! This makes so much sense! I knew what He was doing all along.” That’s not how it works! We don’t have him figured out. We cant shove Him into a tweetable quote or give a 5-step process to an eternal relationship. The process only ends when we are finally standing in His midst, in His fullness, in all of His glory. Until then, we have to get more comfortable with being honest in the process. Because God actually loves to show up right in the middle of it. Especially in the messy parts that we try to hide from Him and everyone else. I think that we have been far too good at putting the finished product on stage. I think people are way more interested in hearing the stories of process. I love when God does the miraculous in meetings and on the streets and I fully believe it should be shared and declared BUT as the father of a little girl who hasn't yet received her promise, I look to the stories in scripture that reminds me we are all a work in process. In fact just tonight in a big healing meeting Geneva wanted to get out of her wheelchair and attempt to walk and as she took step after heart-wrenching step she declared “I am one step closer to my healing.” WHAT? That’s the heart of true faith, not avoiding the process, but step after agonizing step we recognize that even our pain and our sorrow is a part of the journey. I'm not interested in a theological discussion about how it got there, I simply want to know how God is going to use it! And how can we begin that discussion if we are too busy ignoring the hurt and the test is actually there? This is the beautiful tragedy of being a work in process. In allowing the testimony to simply be that you haven't given up and you refuse to give in. This step forward, this one small, frustrating step towards the author of salvation, towards the loving face of my Father, is a step in the right direction. Let us remember that when God created humanity He didn’t just shout into the void like He did for everything else. He got down in the mud and got His hands dirty. The Word tells us that He breathed into the nostrils of man. I would like to assume that if He took the time to form nostrils, He formed a face and if He took the time to form a face He formed the neck and if the neck then the shoulders all the way down to this little dirt-man’s toes. You aren’t like anything else in created order. For you, God was willing to get dirt on His hands, dirt on his knees, dirt between his fingers and toes. He formed man with his own two hands and He thought YOU WERE BEAUTIFUL! God has never been afraid to jump into the mess and enjoy the process of creation. Your God is an architect. Your God is a painter. Your God is a poet. Your God is a songwriter. He’s not afraid of a work in process. This is the very heart of Reformation. When we enjoy the process as much as we enjoy the promise. When we aren’t afraid to take the step of honesty and show people the unfinished story. When we are willing to show our scars and still tell the world, “I am one step closer today than I was yesterday!” In the middle of the mess and the chaos and trial, not when we have it all worked out and we feel like we have it under control. I believe with my whole heart that when we start to enjoy the process as much as the promise, we will begin to find the heart of the Father and display Him in ways that no one else can. ONE FIVE ONE SEVEN is an exploration of God as the Word. 500 years of Reformation has given us the opportunity to sing songs and declare truths that shift and shake the nations of the earth. We don't need anymore lullabies and we don't need anymore Christian karaoke, we need songs filled with hope and wonder in the face of heartbreak and disappointment. ONE FIVE ONE SEVEN is Jake Hamilton's attempt to remove the filters and record songs that come directly from his own encounters spanning the last several years. It's the good, the bad and the ugly wrapped in melodic guitars and captivating rhythms. Jake Hamilton once again gives us something we have not heard but long to sing.